As a globally famous apple and one of the best known apple brands in the world, only the best of the best apples get selected, hand-picked and given the Pink Lady® heart sticker. When you see the Pink Lady® heart on the apples you buy, you know it is a symbol of authenticity and it's your guarantee of premium quality. People often ask, "What makes a Pink Lady® apple so special?" 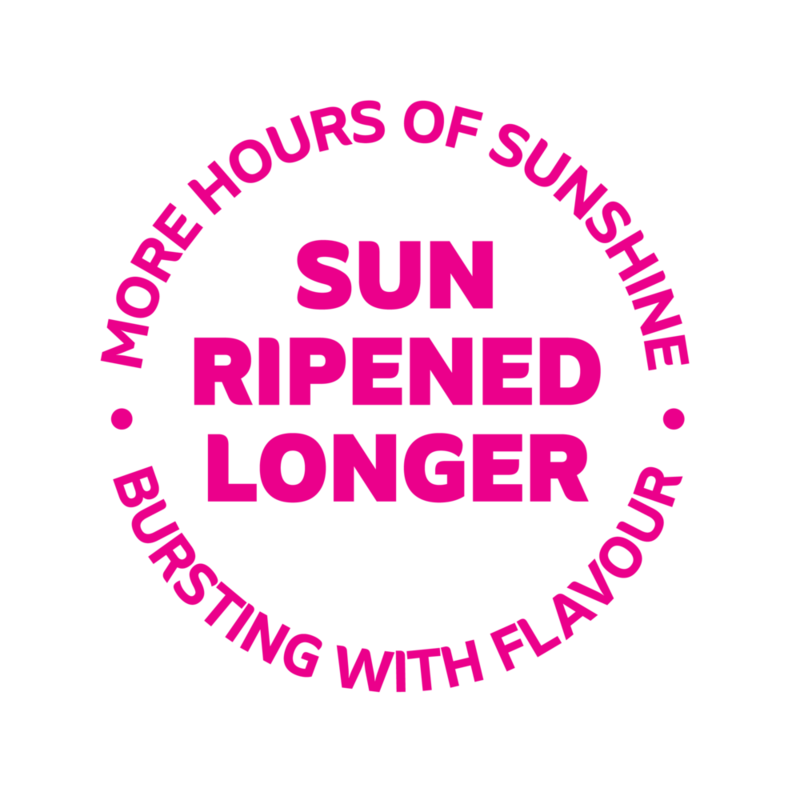 The answer is simple – they are sun ripened for longer. Pink Lady® apples are the first to blossom and the last to be harvested. This extra time in the sun gives Pink Lady® apples their special pink blush, sweet crunch and wonderful refreshing taste. As a mid to late season apple available June to November, you can trust a Pink Lady® to be deliciously wow – at a time when other apples have started to go soft and floury. So if you are a fan of the crunch and love to eat apples all year 'round, give Pink Lady® apples a go. You won't be disappointed. A Pink Lady® apple’s unique flavour and qualities are not an accident. The way the rows of trees are orientated, the positioning of the branches and the amount of greenery on the trees are carefully considered, all to ensure our apples receive as many rays of sun as possible. Did you know Pink Lady® apples are mainly grown in the world’s finest wine regions? Around the world, you can find Pink Lady® apple trees in France, Italy, America, Chile, Argentina, South Africa, Australia, and of course New Zealand, to name a few. John Cripps took the Pink Lady® name from his favourite novel, Nicholas Monsarrat’s The Cruel Sea. In this story, the hero savours a cocktail called ‘Pink Lady’. It’s a perfectly fitting name for an apple with such a beautiful blush. John Cripps is a fully-fledged Australian hero, being the plant-breeder who created the first ever Pink Lady® apple. In 1973, Mr Cripps had the idea to ingeniously – and naturally – cross a Golden Delicious and a Lady William. And so the Pink Lady® apple was born, the fruit of a love affair between two other apple varieties.